In 2013, Dr. Moramarco introduced the Cheneau-style scoliosis brace known as the Gensingen Brace® (GBW) in the US. 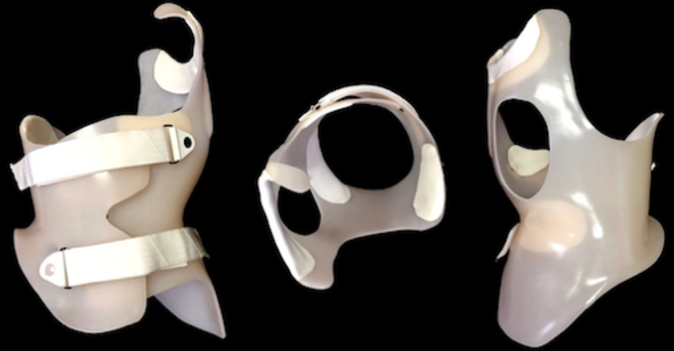 This innovative, asymmetric 3D brace is for adolescents with idiopathic scoliosis (AIS), and also adults. It is by far the most advanced innovation currently available in bracing for scoliosis. Each custom-designed brace has a built-in correction effect to work towards Cobb angle and postural improvement. There are openings at the spinal concavities for breathing with the goal of spinal derotation. Every brace is designed . 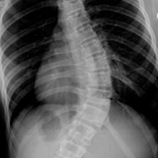 In contrast, traditional bracing scoliosis only aims to stop curve progression. The Gensingen brace is set apart in that it tries to do better than just keeping scoliosis from getting worse because our kids deserve that chance! After initial measurement in our office, each brace is personally designed by brace developer and scoliosis expert, Dr. Hans-Rudolf Weiss, from the German family who created the Schroth method for scoliosis. He also developed the advanced technique – Schroth Best Practice®. All braces are fabricated in the US and ready for Dr. Moramarco to begin fittings within twenty-four hours of a patient’s initial measurement. We do this because many of our patients come from states across the U.S., the Caribbean, Canada as well as international locations. We do this because we operate on the belief that bracing for scoliosis should be as fast as possible since there is always the potential for progression when a young adolescent is growing. When a patient comes from a distance, the overall turnaround time is less than four days from initial scan to the final bracing appointment. The Gensingen brace strives for a higher standard than other scoliosis braces, in terms of both comfort and correction. Click here for a comparison of scoliosis braces. The Gensingen brace can be used with or without the Schroth method. When possible, the best strategy for treating scoliosis successfully is to use both approaches for effective scoliosis management. Dr. Marc is dedicated to helping families manage the trials of a scoliosis diagnosis to a successful conclusion. As the North American Cheneau – Gensingen Brace instructor and distributor, he recently began to hold courses for orthotists and other spinal care practitioners interested in Chêneau bracing for scoliosis. He is thoroughly committed to spreading the use of this highly effective brace to enable more kids to have the opportunity to get impactful help for scoliosis. Please visit us at Scoliosis 3DC for more on our advanced Cheneau-style scoliosis bracing as well as general information on scoliosis and our Schroth method intensive programs. Or, please fill out the contact form on this site and we will be in touch soon. For bracing practitioners interested in providing Chêneau bracing to their patients, learn more at Scoliosis Bracing Innovations, Inc.